I've not read her as yet but this sounds good! I enjoy reading Medieval romance books. Who are your favorite authors writing in that period? Off the top of my head, Claire Delacroix, Glynnis Campbell, Catherine Kean and Tamara Leigh. Hope that you had a lovely Christmas, and I wish you and everybody else a very Happy 2019. Thank you for the terrific book! 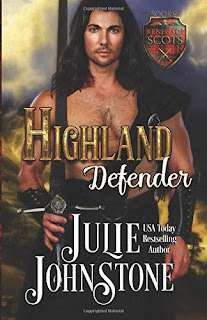 I enjoy reading medieval romance and Julie Johnstone especially! I love how she immerses me into the story. I do love medieval romance! I've never been disappointed by one of Julie's Johnstone's books. Me either, Glenda. I have favorites but none yet have been a disappointment. I love all historical eras. Medieval is not my favorite era, I think that is because I do not know as much about that time frame. I like character driven stories - so when they take place is not as important to me as who is doing whatever. I have a book by Ms Johnstone on my kindle, but have not yet read it. From what you have written, I know I will enjoy the book when I read it. So, thank you. Her books are steeped in history with plenty of action but also very much character driven. Hope you enjoy whichever you decide to read. I highly recommend her, Alina! 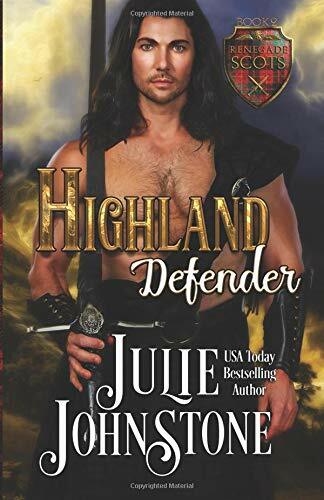 I enjoy medieval romances, and I have read several in Julie Johnstone's Highlander Vows series. This one sounds like another one I should read. Thanks, Cheryl! I haven't posted winners yet for those two plus one more. I appreciate you bringing it to my attention. Watch for posts later tonight! I've read When a Laird Loves a Lady. I loved the book which was the first I've read by her. I do enjoy reading medieval romances and have an ARC of this book to start soon. Thanks for the great review PJ. I hope you had a good holiday! !